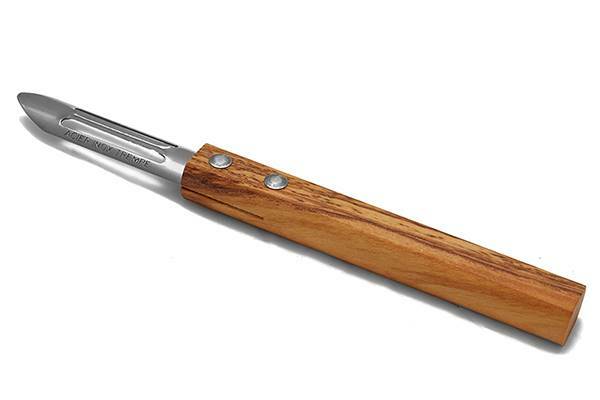 This kitchen accessory has a handsome olive wood handle which shape is ergonomic to perfectly sit in the palms of your hand. 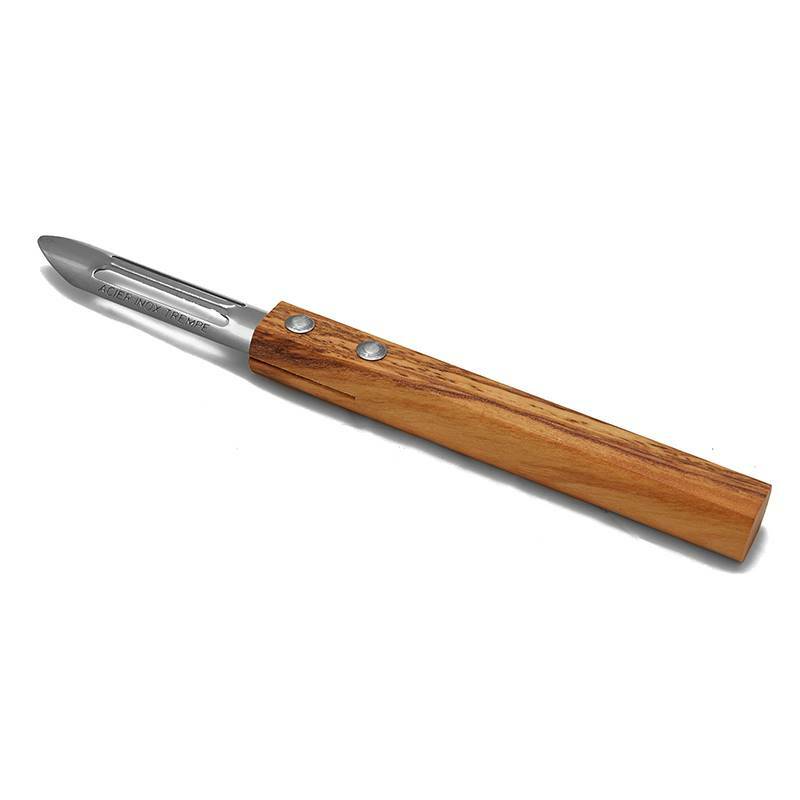 Adapted to regulare use by chefs, this peeler is particularly easy to handle and eases all moves to quickly peel fruit and vegetables. 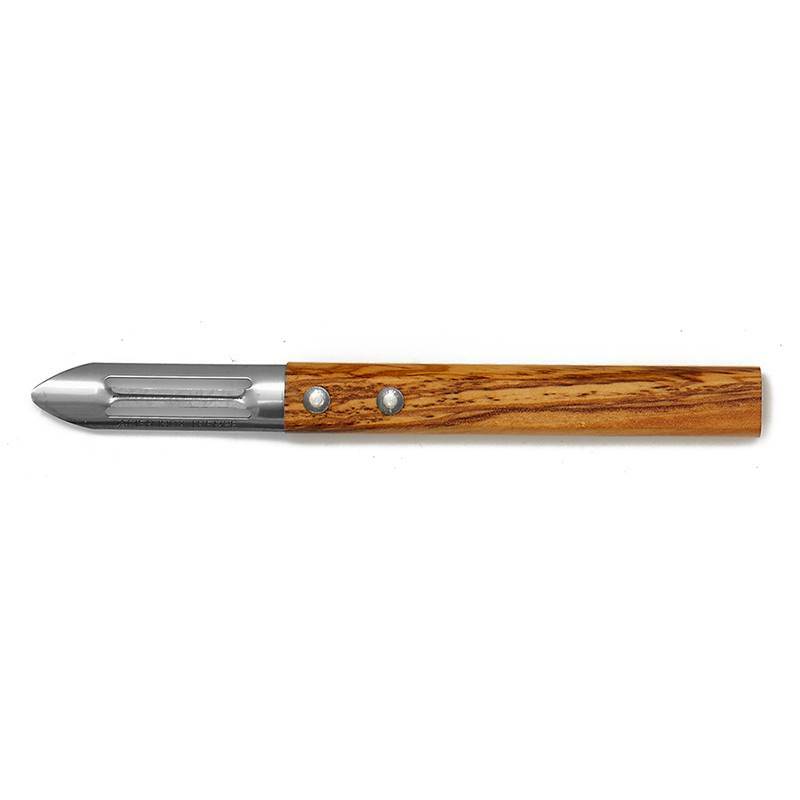 This Made In France vegetable peeler has been created to be functional, elegant and performing. The ancestral know-how of TB Groupe has permitted the development of kitchen utensils accessible to all and which meet everyone needs. The French cutler teams have worked on ergonomics for easy and comfortable work.